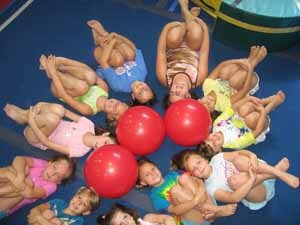 Buckeye Gymnastics works hard to ensure that all of our Special Events are exciting and fun. Due to the nature of Special Event staffing and planning, Buckeye Gymnastics has adopted the following refund policy. Special Event tuition will be refunded if cancellation is received 48 hours prior to the event. Preschool (ages 3 – kindergarten): 7:15 p.m. – 8:15 p.m. $7.00. Parents welcome in the gym with their child to practice, play, learn and laugh. School Age: (1st grade and older): 7:00 p.m. – 8:30 p.m. $10.00. Practice the skills you have worked on in class. Students are welcome to come to Friday Flips and practice their skills under the watchful eyes of our Gym Star teachers. All Friday Flip students must have a current Family Membership Fee and Waiver Form on file. Buckeye Gymnastics members may bring one friend each. Regular admission prices apply. December Friday Flips with Friends will be Friday, December 16th due to Holiday Scheduling. *All “Bring a Friend” events require our new “friends” to bring a completed Waiver Form. Great themes, games and activities! Recreational Students: Friday Flips with Friends: 7:00 p.m. – 8:30 p.m. Recreational Students: Kids Night Out: 8:30 p.m.–10:30 p.m.
Pre-registration is encouraged but not required for Friday Flips with Friends and or Kids Night Out. Space is limited! We will decline admission to students once our maximum enrollment number is reached.